Property crimes are crimes that involve the unlawful taking or destruction of another's property with or without force or threat of force against the victim. Property crimes include armed robbery, burglary, grand-theft auto or person, larceny, possession of stolen property, shoplifting, robbery, arson, vandalism and other similar crimes. Even if no property is actually taken, having the intent to commit a property crime may be enough to be criminally charged and prosecuted. Consequences of property crimes vary depending on the degree and type of the crime. Petty theft, for example may fall under a misdemeanor criminal charge, whereas arson or armed robbery will likely be charged as a felony. Consequences of property crimes will also depend upon what or how much was stolen or destroyed, and whether or not any force, threat or weapon was used. Because property crimes vary in degree, it is important to seek the counsel of a criminal law attorney if charged with a property crime. You may face jail time, lengthy prison sentences, fines, probation, and a long-lasting criminal record if you have been involved in a property crime. An experienced criminal defense lawyer will examine your situation, gather evidence, and help provide the best possible defense for your case. A criminal attorney may be able to prove that you had no intent in committing the property crime, which may result in your charges and punishments being severely reduced or dropped completely. In certain cases a criminal attorney can also challenge the property's value which may be the difference between a felony or misdemeanor charge. If you are facing a property crime charge, contact Attorney Search Network for assistance in finding a local criminal law attorney with experience in property crimes. The penalties involved in property crimes may be severe, and having a criminal attorney on your side can be your best chance at obtaining the best possible outcome in your criminal case. You deserve to have fair representation if being accused of a property crime. 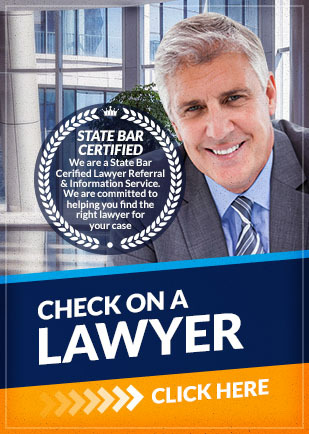 Contact Attorney Search Network today for a pre-qualified lawyer referral to an attorney in your area. Call us toll free at (800) 215-1190 or fill out our online form for your criminal law lawyer referral immediately. If you have any questions about the information provided above, please contact us. Call us toll free at (800) 215-1190 or fill out out online form for a lawyer referral to a criminal law attorney with experience in Property Crime cases.